The new body care brand includes a stretch mark serum, stretch mark cream, anti-chafe stick, and anti-chafe ointment. 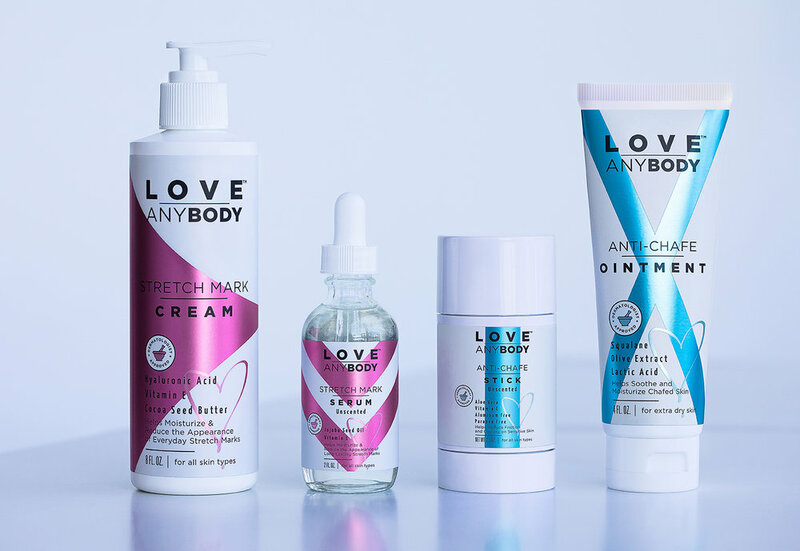 Body positivity influencer and content creator Loey Lane (@loeybug) has launched Love AnyBody—a new body care brand with a mission to celebrate women’s bodies at every shape and size by having an honest and open conversation about everyday body concerns that affect us all. The collection includes a stretch mark serum, stretch mark cream, anti-chafe stick, and anti-chafe ointment. In a crowded beauty aisle full of "fix me" products, Love AnyBody is creating space for women to enjoy products that offer targeted benefits for their specific needs, and they are changing the conversation around self-love with clear and empowered messaging to be your own #BodyBoss. Formed in partnership with body positive influencer Loey Lane, the brand is changing the conversation around self-love with clear and empowered messaging to be your own #BodyBoss. To celebrate the launch, Lane along with other diverse and inclusive influencers such as Lala Milan (@lalmilan) created a song and music video, “Curve,” that's all about feeling confident in your own skin. Check it out below!